Clean and well looked after Sea Ray 380 Aft Cabin. 40ft long, 13"11 wide and 3'1" draft. Twin 6BTA Cummins 330HP freshwater cooled turbo-charged diesel engines in Excellent Condition!!! 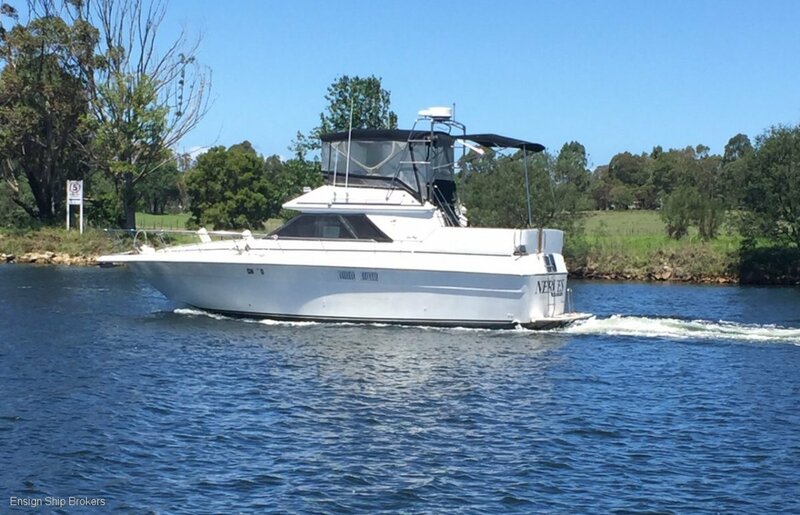 GRP single chine flybridge cruiser with an aft cabin. - Two adjustable captain's chairs. Roomy aft deck leads down inside the cabin to the bar with beverage holders, and a secure bottle storage cabinet. A transom door leads to the wide add-on swim platform equipped with a concealed stainless steel ladder. Freshwater engine cooling, and much more. The spacious saloon a comfortable large L-shaped couch with slide-out bed and a cafe dining table that can convert to a bed. Two-burner electric stove, a microwave oven, 12/240- volt refrigerator and freezer and a double sink with loads of cupboards.